Dash’s Special Talent Is Making You Fall In Love With Her! 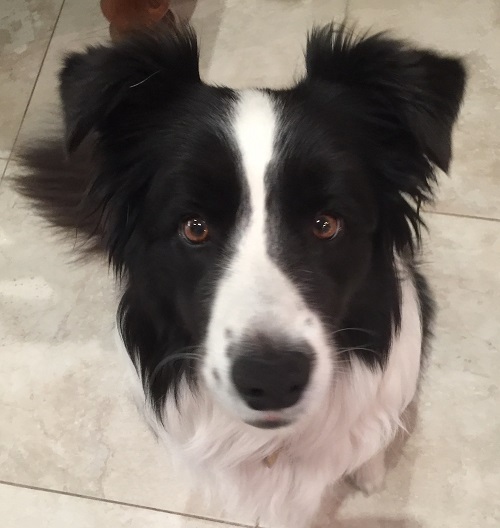 Dash the border collie is a great companion to her owner! How did Dash become part of your family? Does Dash have any special talents or tricks? Special talents: Making me fall desperately in love with her. She was going to be an outside dog. Within a couple of hours, she was allowed inside, but with ‘boundaries’. Then it was anywhere in the house, but definitely not on the beds or lounge. Very predictable ending as most BC owners would understand, she became a free range pup! She fills a void in my life. My oldest daughter joined the Air Force and has never been posted back home. I miss her desperately, but Dash has made it so much easier for me. 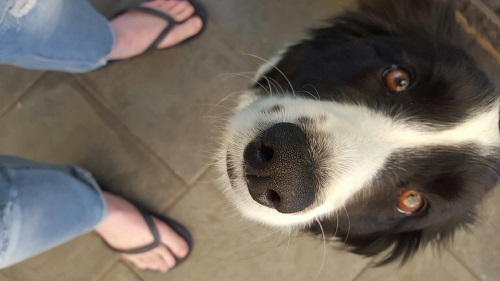 What else do you want people to know about your border collie? I have always been an animal lover, but did not believe I could fall so helplessly in love with a dog, but not just any dog. A border collie.